I put you in situation, the last quarter of the course we did internships in a company, as we were offered the possibility of going abroad from Erasmus I signed up without hesitation. I chose to go to Bologna because it was the option I liked the best. On the way out we were accompanied by a teacher, on our way out of the airport we said goodbye to the teacher (she was with the other group that came with us) and boarded the transfer that was waiting for us. Until then we knew practically nothing, only that we lived on the outskirts of Bologna. We arrived at the house, if we can call it that, it is a high school that has in the courtyard a two-storey house quite spacious. Valeria was waiting for us there and she was going to be our tutor for the whole of our stay. We entered the house, and... Surprise! We had two other companions, they were a boy and a girl (the only one) from a village near Barcelona, 6 in total in that house. As we were not too late we went out for a walk around the city centre to get to know Bologna a little bit. That day we had dinner at a pizzeria/kebab, the only one in the area where we lived, which, to bad luck, closed a few days later. On Saturday of the first week I was there, I attended a conference in English called PHPDay organized by GrUSP, as I had won a ticket thanks to a form for students and scholars. This was the first programming conference I was going to, I really liked it and to my surprise I understood everything. There are things they taught me that I'm applying to my website, so there will be important changes coming soon. Coming back from the conference I met Nicola @thebettinz, the truth is that we had fun, he is a very nice and funny person. During the week I'm well enough, today I'm already on my third project, and between projects I have time to create new features to my website, because there is a part that is not done and that I want all the time. I don't complain about the house and my companions, it's a bit complicated to organize with 5 more people, but it works, that's what matters. As the saying goes, "if it works don't touch it", you can apply that to almost anything in life. One day we had a sightseeing tour of Bologna, Linda was called the guide, an Italian girl who speaks very good Spanish and very nice, the visit was very entertaining and interesting. 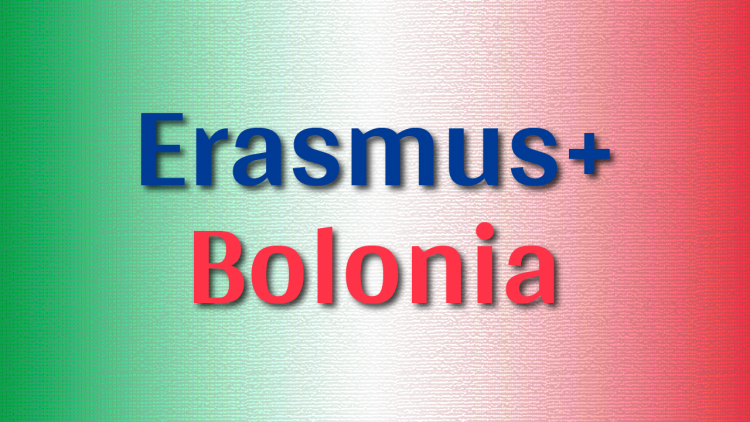 This Tuesday the office where I work organized a meeting with all the students who are doing the Erasmus+ through them. We met other Spanish girls who are in Bologna and we spent an afternoon enjoying the stay. Today there is only one week left to return to Spain, although the truth is that I am very comfortable here and I would not mind staying.